Lula Shoemaker, 93, of Bellevue, went home to be with her Lord on March 15, 2011. She was born Oct. 13, 1917, on a farm five miles south of Bellevue to Hyrum and Minnie Barker, the fourth daughter of 13 children. Lula grew up on the family farm near Gannett, Idaho, and attended school in Gannett through high school. In November of 1939 she married George Shoemaker; they fought and loved each other for more than 64 years. Lula was an extremely talented lady who sewed, knitted, upholstered and cooked her way into many hearts in the Wood River Valley. She always was looking for a new or better way to do something and often found it. Bowling was part of her life for many years, and she often talked about the enjoyment she had with the ladies she bowled and traveled to tournaments with. The greatest part of her life, though, that gave her the most enjoyment was spending time with her family, whether over a meal or making cinnamon rolls for her grandchildren, the very light of her life. Lula was a member of Calvary Bible Church in Hailey for many years and loved to give the kids there candy and hugs after every service. She especially enjoyed bringing her friend, Kate McKitrick, to church and then going to the Snow Bunny for lunch afterward. Lula is survived by her children, Lois Koonce of Bellevue, Janice Lyke (Doug) of Hailey and Dan Shoemaker (Mary) of Bellevue. 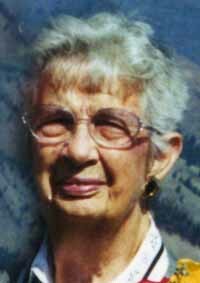 She is also survived by a younger sister, Lillian Wright of Twin Falls, eight grandchildren and 14 great-grandchildren. She was preceded in death by her husband, George; her parents, Hyrum and Minnie; and her brothers and sisters. Lula's family greatly appreciated the care she received in her last days from River Ridge Care Center in Twin Falls. In accordance with her wishes, Lula will be cremated and a family celebration of her life will be announced later in the spring. In lieu of flowers, please lift the family in your prayers and thoughts. Any donations in her memory may be made to a nondenominational mission fund of your choice.